Two-door, two-drawer armoire is great for your TV set and accessories. Comes in three pieces that easily fit together with minimal assembly. 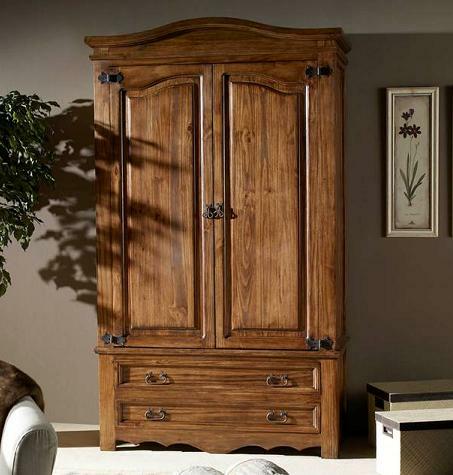 This elegant two-door, two-drawer armoire is a great addition to your living room or bedroom. Perfect for your TV set and accessories. We love how polished, warm and elegant this piece is -- and it is also very practical. Delivered in three pieces that easily fit together with minimal assembly.